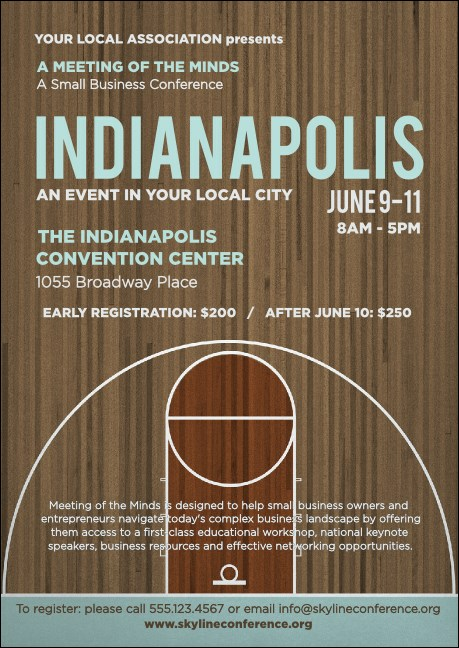 Make your local Midwestern sports team more well known when you print Indianapolis Basketball Club Flyers and send them out in advance for your event. Score more points in the game of advertising with Club Flyers that feature a basketball court background and seventeen lines of text for you to customize with game details. Find out HOOSIER best advertiser at TicketPrinting.com!